Visitors to Cassis France can enjoy an adventurous boat tour of the spectacular Calanques fjords. The small vessels leave from Cassis every half hour or so. Tour durations are a minimum of two hours in length. 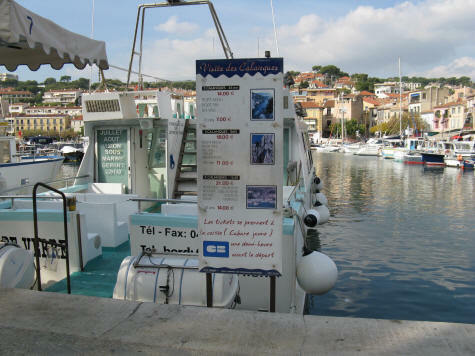 Boat tours depart from the Port of Cassis, not far from the tourist information centre. Because the Mediterranean waters can be quite rough, the tours are not recommended for those who suffer from motion sickness or serious health conditions.